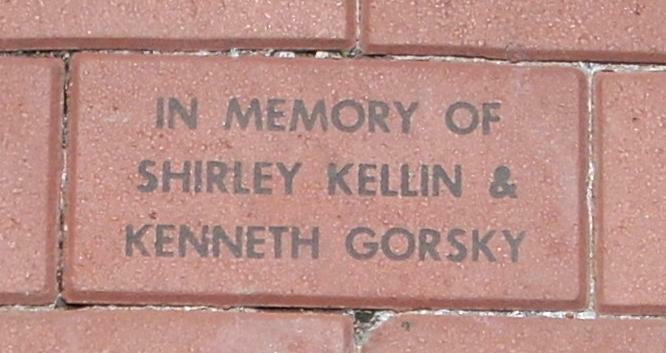 Miss Shirley Ann Kellin of 1817 Asylum Avenue, West Hartford, was born August 14, 1927 in Hartford, daughter of Russian born Sophie (Botuck) and London born Samuel Kellin. 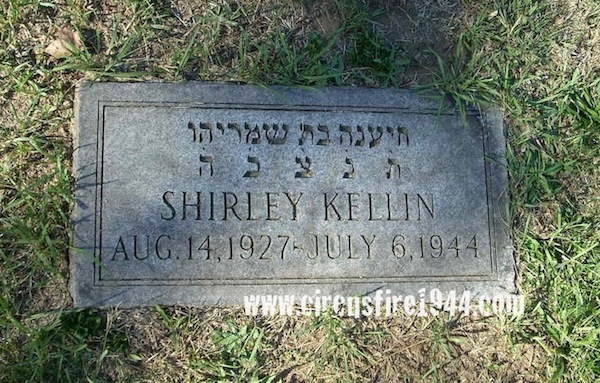 She was found dead at the circus grounds after the fire on July 6 and was buried at Emanuel Cemetery in Wethersfield after services at the Weinstein Funeral Home. 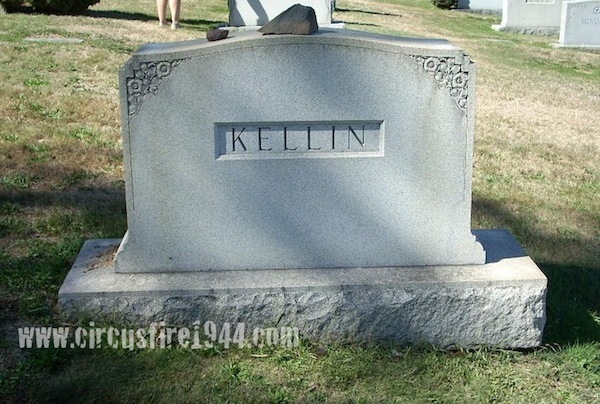 Miss Kellin leaves her parents and her brother Myron, 22, who would become known in the 1950's as television and film actor Mike Kellin. 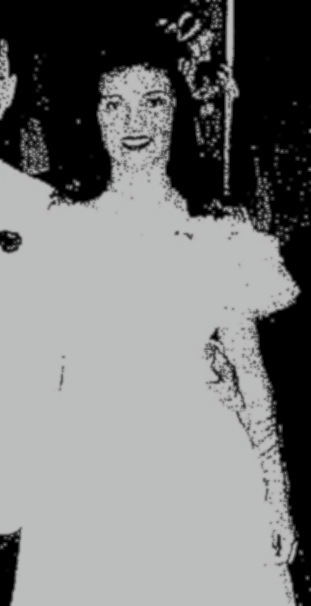 Body #1563 was identified as Shirley Kellin at the State Armory by her father Sam Kellin on July 6. Miss Kellin had studied at William Hall High School and was planning to attend the Oxford School. 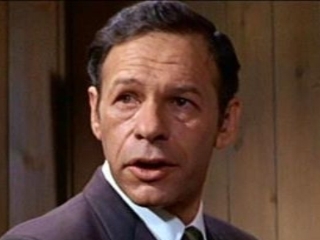 She worked part-time at her father's men's apparel business, the Warner & Bailey Company, and also worked at the Youth Center on Main Street in Hartford. 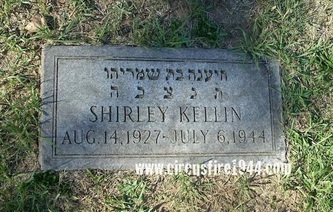 Shirley went to the circus with her cousin Kenneth Gorsky, 5, who was also a victim of the fire. 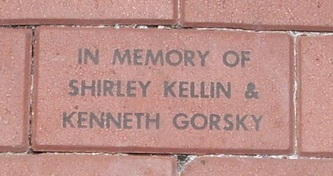 The estate of Shirley Kellin was awarded $8,500 by the arbitration board.